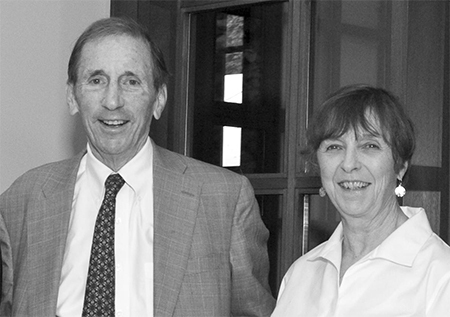 Warren and Chris Hellman established the Hellman Fellows Program to provide early-career funding to promising junior faculty. Dana Velasco Murillo has had a lot of good news in recent months. In February, she received tenure in the Department of History at UC San Diego. 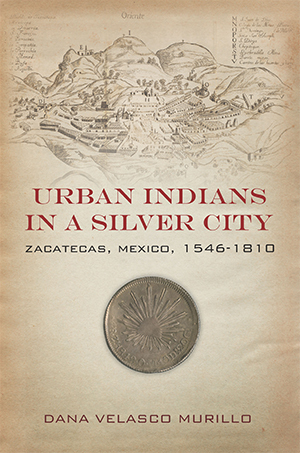 Her first book, “Urban Indians in a Silver City: Zacatecas, Mexico, 1546-1810,” will publish this June with Stanford University Press, and she has received funding to conduct research in Spain this summer, which will support her next project. All of this, Velasco Murillo says, she has accomplished because of the Hellman Fellowship she received. In the coming years, more of UC San Diego’s junior faculty members will have support in launching their academic careers on the tenure track thanks to a recent grant of nearly $2.5 million from the Hellman Fellows Fund. The grant provides renewed funding for the university’s Hellman Fellows Program, bringing the total fund investment to nearly $7.5 million since its establishment in 1995. The late Warren Hellman, his wife, Chris, and their family established one of the first Hellman Fellows Programs at UC San Diego to provide early-career funding to promising young faculty. The impetus for the program came when Hellman family members, who were junior faculty themselves, observed that young faculty members are well-funded when first hired, but challenges often arise after start-up funding is exhausted and before their research qualifies for other external support. Since its inception, the Hellman Fellows Program has benefitted nearly 300 UC San Diego faculty members, in disciplines from visual arts to nanoengineering. The program annually awards funding to recognize faculty who show capacity for great distinction in their research and academic work, and is intended to support activities that will enhance their progress towards tenure. For the 2016-17 year, 13 assistant professors have been awarded a total of approximately $500,000. Among them is climate scientist Ian Eisenman, who plans to use the award to investigate a mechanism for polar sea ice changes. 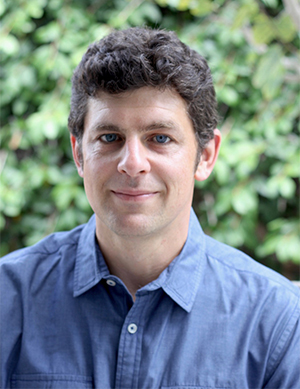 Ian Eisenman, assistant professor at Scripps Institution of Oceanography, will use the Hellman Fellowship to investigate sea ice changes in the Arctic and Antarctic. Arctic sea ice has retreated dramatically during recent decades, he explained, while Antarctic sea ice has expanded—and both changes differ markedly from expectations based on comprehensive climate models. Eisenman thinks this could be due to the wind-driven drift of the sea ice. His project will use computer models and observations to investigate this hypothesis. The results, he hopes, will help improve future predictions about polar sea ice changes in response to rising greenhouse gases. In addition to research, the fellowships enable faculty to dedicate more time to teaching and service. For Velasco Murillo, one of last year’s award recipients, having secure funding to produce her book freed up time to mentor undergraduates, help organize conferences and more. The Hellman family has used the successful UC San Diego program as a model to expand the fellowships to all campuses in the UC system; it is the only privately funded program established at all 10 institutions. In 2015, the Hellman family was honored with the prestigious Chancellor’s Medal in recognition of their dedication to UC San Diego’s scholars and research. More information about the fellowship program, past recipients and application criteria is available on the UC San Diego Hellman Fellows webpage.